Home SQL Improve SQL Server Database Performance? 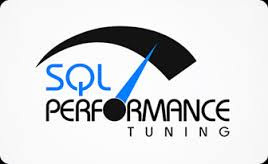 Improve SQL Server Database Performance? Does practice to avoid nchar and nvarchar data type since both the data types takes just double memory as char and varchar. Use nchar and nvarchar when you required to store Unicode (16-bit characters) data like as Hindi, Chinese characters etc. Does practice to avoid Having Clause since it acts as filter over selected rows. Having clause is required if you further wish to filter the result of an aggregations. Don't use HAVING clause for any other purpose. Does practice to avoid cursor since cursor are very slow in performance. Always try to use SQL Server cursor alternative. Please refer the article Cursor Alternative. Does practice to use Table varible in place of Temp table since Temp table resides in the TempDb database. Hence use of Temp tables required interaction with TempDb database that is a little bit time taking task. Does practice to use UNION ALL in place of UNION since it is faster than UNION as it doesn't sort the result set for distinguished values. Does practice to create stored procedure for quaery that is required to access data frequently. We also created stored procedure for resolving more complex task. Does practice to avoid prefix "sp_" with user defined stored procedure name since system defined stored procedure name starts with prefix "sp_". Hence SQL server first search the user defined procedure in the master database and after that in the current session database. This is time consuming and may give unexcepted result if system defined stored procedure have the same name as your defined procedure.